There’s nothing like a positive pregnancy test to get the credit card warmed up and ready for the registry. After all, baby can’t even leave the hospital without being strapped into his first car seat—likely an infant car seat that’s part of a larger travel system to help you tote and roll him around. Then he needs a place to sleep—a crib or bassinet. Co-sleeping is a no-no based on the continued piling up of research that shows the increased risks to baby when sharing a soft, squishy surface with sleepy parents. Bath time will be easier with a tub made just for his little, wiggly body and of course you’ll need a monitor and safety gates once all of that scooting and rolling becomes crawling and walking. With an ever-increasing number of recalls on baby products, though, how can a skeptical parent buy products with both safety and function in mind? We’ve assembled the best advice from leading experts on what we call “Baby’s Essential 6”—the 6 (but not all! 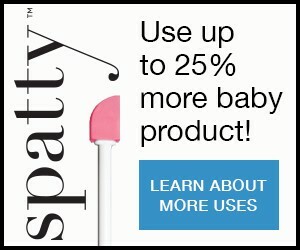 )—products you’re likely to need and use the most in baby’s first few years of life. This certainly isn’t all that you should consider but it’s a good healthy start. Buy sheets the same way as the mattress; they should fit tightly and tuck evenly down around all sides. Toss the bumpers, pillows and other decorative items that may come with the sheets. If you opt for a sling, wait until baby is 4 months old to reduce suffocation risks; and have a friend help you when you’re learning to use it according to the manufacturer’s instructions. Slings require ongoing adjustment.